As of this writing, Transformers: The Last Knight, the fifth installment in the Transformers series directed by Michael Bay looks to bring in $69.1 million domestically. The movie may make its initial tracking projection of $70 million by the end of the day, which would still make it the lowest grossing Transformers opening for the franchise in it's 10-year history. The first installment of the series earned $70.5 million back in 2007 and was the highest grossing non-sequel movie of 2007., topping the box office in 10 countries. Variety is reporting that Transformers: The Last Knight is performing well overseas much like other summer blockbusters like The Mummy so it may end up turning a profit after recouping its $217 million budget. The Last Knight made $41 million on opening day in China alone, making the projected end of the weekend box office at somewhere around $196.2 million, which is definitely nothing to scoff at. The movie comes at a time when Paramount could have used a true box office smash after the critical and commercial failures of Baywatch and The Ghost in the Shell. Transformers 5 ended up having a bit of a rebound on Saturday with a bump of $17.5 million, the highest day in the 5-day opening over 4,069 theaters across the United States. Most of the big budget summer blockbusters have had similar fates domestically thus far, excluding Wonder Woman and Guardians of the Galaxy Vol. 2. The summer season is still only really getting started with the releases of Spider-Man: Homecoming and Rise of the Planet of the Apes coming within the next few weeks and both are receiving praise from early screenings by audiences, unlike The Last Knight. The lackluster reviews for Transformers: The Last Knight, or "final chapter" for Bay as a director, have many awaiting the often talked about reboot of the franchise. And there's a lot to be excited about since the first in the series of spin-offs will revolve around the beloved Bumblebee character. Early comparisons have been said to give the Bumblebee spin-off an Iron Giant type of vibe}, which makes it all the more exciting especially when taking into consideration that the movie will take place in the 1980s and is rumored to return to the VW Bug version of Bumblebee. The Transformers franchise is deeply in need of a return to the original spirit of the Hasbro toys and cartoon and producer Lorenzo di Bonaventura plans to do just that with Bumblebee. Travis Knight (Kubo and the Two Strings) will direct the Bumblebee spin-off and Hailee Steinfeld (True Grit, Edge of Seventeen) is reportedly in early talks to play the human role in the spin-off. 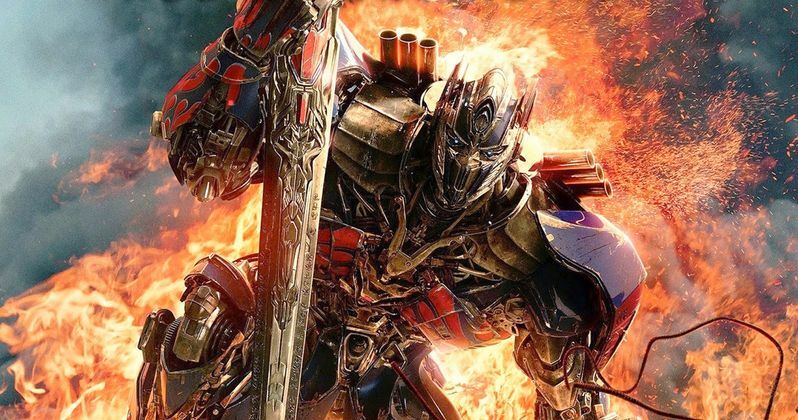 Transformers: The Last Knight is likely to be a box office bomb by any means. It may perform under expectations, but those numbers reflect that fans of the Transformers franchise are ready for something new, something to remind fans why they fell in love with the magic of Transformers in the first place and explosions and CGI might not be what everybody is looking for. While The Last Knight just hit theaters, expect the Bumblebee spin-off to hit theaters on June 8th, 2018.